Given the high level of pricing, you may be forgiven for thinking that London is a no go area when it comes to first time buyers. This isn’t the case though and while it isn’t always a straightforward process, there are hot spots for first time buyers in the capital. There is also the hope that the changes in stamp duty for first time buyers and the Help To Buy London scheme will provide first time buyers in London with a greater chance of stepping on to the property ladder. At Regent Property, we understand the difficulties that all buyers face in the London property market. Many people are struggling to find their ideal home at the right price, and we know that some first time buyers have faced difficulties. However, there are areas which will hopefully provide an entry level option for first time buyers and anyone who is looking for guidance in buying property should get in touch with us. In recent years, there has been a greater focus on the outskirts of the capital when it comes to finding value for money. 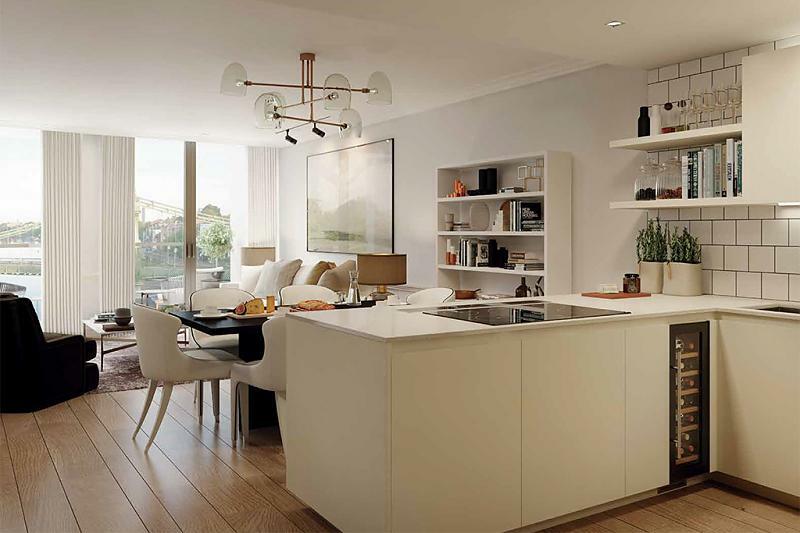 For 2018, Gidea Park is being tipped as a good option for first time buyers. This area is located on the border with Essex and lies to the far east of the capital. There is no doubt that this is a suburban location but with Crossrail looming, this is the sort of London destination that isn’t as far out of reach as it seems. In the south east of the capital, there have been many places that have welcomed first time buyers in recent years. In 2018, there is a body of property specialists who are tipping Sydenham to be the next big thing. When you consider that there is transport to London Bridge in just over 15 minutes and plenty of greenery and open spaces, Sydenham is the sort of area that provides the fabled “best of both worlds” that so many look for in London. The south west of the capital has a lot of expensive areas but heading out isn’t a problem when you take the reliable transport links into consideration. Surbiton may lie in Zone 6 but if you time your train well, you can be at Waterloo in less than 20 minutes, which is a lot faster than many transport options in more central London locations. Thinking further down the line, if Crossrail 2 comes to pass, Surbiton is in line to benefit from increased demand and prices, which means that a long term investment is likely to pay off. These are all key areas with respect to places where many first time buyers will set up home in 2018 but there are always bargains and good deals to be found. We are pleased to say that at Regent Property, we offer a selection of affordable property options across London and in the surrounding areas. Our website is updated all the time and if you need any guidance on finding homes on a budget, please get in touch. Getting on to the property ladder in London can be difficult for first time buyers but it is far from impossible. If you want to make 2018 the year you take a great step forward with respect to property ownership, come and speak to Regent Property.